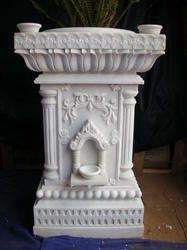 We Are Leading Manufacturer & Exporter Of Marble Tulsi Pot, Tulsi Pots, Kyara, Marble Tulsi Kyara, Tulsikyara, Marble Vrindavan, White Marble Tulsi Pot, Marble Tulsikyara, Marble Garden Pots,White Marble Tulsi Pot, Landscaping Stones, Flower Pot, Garden Planters, Urns, Marble, Pot, Marble Carved Tulsi Kyara. 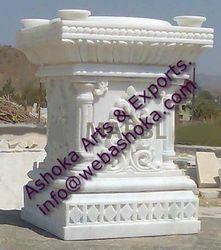 We are offering a superior quality designer marble tulsi kyara / marble vrindavan to our most valued clients. These marble tulsi kyara / marble vrindavan are made by using superior quality raw material which ensure its quality and durability. 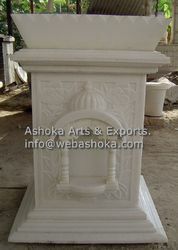 These designer marble tulsi kyara / marble vrindavan are available in various types and we offer at wholesale rates. We are offering a superior quality designer Tulsi kyara to our most valued clients. These Tulsi kyara are made by using superior quality raw material which ensure its quality and durability. These designer Tulsi kyara are available in various types and we offer at wholesale rates. We are offering a superior quality designer Tulsi kyari to our most valued clients. These Tulsi kyari are made by using superior quality raw material which ensure its quality and durability. These designer Tulsi kyari are available in various types and we offer at wholesale rates. We are offering a superior quality designer Tulsi kyari / Vrindavan to our most valued clients. These Tulsi kyari / Vrindavan are made by using superior quality raw material which ensure its quality and durability. These designer Tulsi kyari / Vrindavan are available in various types and we offer at wholesale rates. 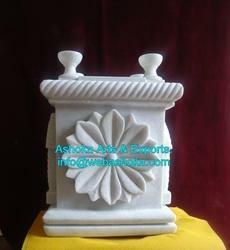 We are offering a superior quality designer Marble Tulsi kyari / Vrindavan to our most valued clients. These Marble Tulsi kyari / Vrindavan are made by using superior quality raw material which ensure its quality and durability. These designer Marble Tulsi kyari / Vrindavan are available in various types and we offer at wholesale rates. 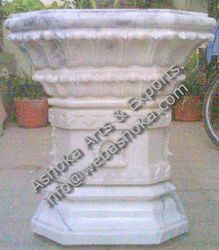 We are offering a superior quality designer marble tulsi kyara / marble vrindavan to our most valued clients. These marble tulsi kyara / marble vrindavan are made by using superior quality raw material which ensure its quality and durability. 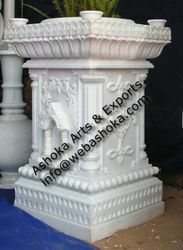 These designer marble tulsi kyara /marble vrindavan are available in various types and we offer at wholesale rates. 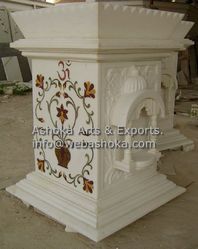 We are offering a superior quality designer marble tulsi kyara /marble vrindavan to our most valued clients. 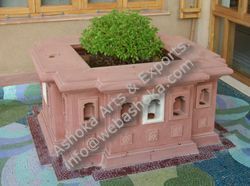 These marble tulsi kyara / marble vrindavan are made by using superior quality raw material which ensure its quality and durability. 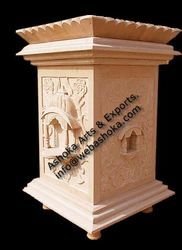 These designer marble tulsi kyara / marble vrindavan are available in various types and we offer at wholesale rates. 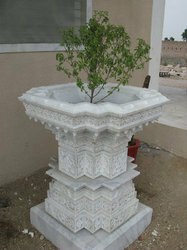 We are offering a superior quality designermarble carved tulsi kyara to our most valued clients. These marble carved tulsi kyara/ Marble Vrindavan are made by using superior quality raw material which ensure its quality and durability. 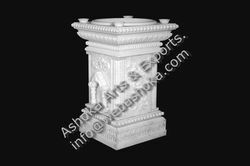 These designer marble carved tulsi kyara /Marble Tulsi kyara / Marble Vrindavan are available in various types and we offer at wholesale rates. 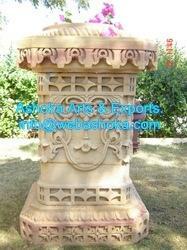 We are offering a superior quality designer Stone Tulsi kyara to our most valued clients. These Stone Tulsi kyara are made by using superior quality raw material which ensure its quality and durability. These designer Stone Tulsi kyaraare available in various types and we offer at wholesale rates. 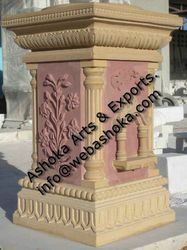 We are offering a superior quality designer stone carved tulsi kyari/stone carved tulsi kyara/stone carved tulsi vrindavan to our most valued clients. 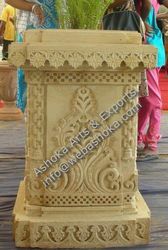 These stone carved tulsi kyari/stone carved tulsi kyara/stone carved tulsi vrindavan are made by using superior quality raw material which ensure its quality and durability. 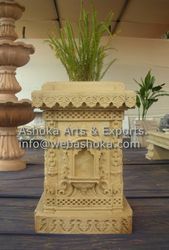 These designer stone carved tulsi kyari/stone carved tulsi kyara/stone carved tulsi vrindavan are available in various types and we offer at wholesale rates. 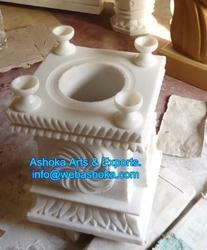 We are offering a superior quality designer Tulsi pot to our most valued clients. These Tulsi pot are made by using superior quality raw material which ensure its quality and durability. These designer Tulsi pots are available in various types and we offer at wholesale rates. 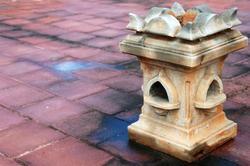 Looking for Tulsi Pot ?